One of the biggest festivals in Korea, if not the world, is being celebrated in the city of Boryeong, South Korea every summer. Boryeong Mud Festival is a celebration of fun and, of course, mud which I was fortunate to experience in my first ever Korean trip. South Korea is one of the Asian countries in my bucket list and when is the perfect time to experience it but during summer. 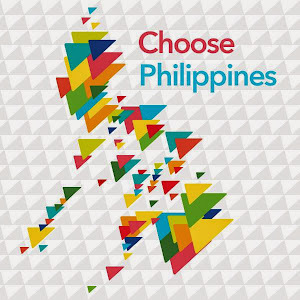 I know most Filipinos are eager to visit this country during winter for the snow, autumn for the scenic foliage, or spring for the cherry blossom. But summer is where most of the fun happens in Korea. When I received an invitation from AirAsia Philippines to experience summer in Korea, I felt very excited. First off, one of the items in my bucket list would be checked off. Second, it would be my first time to experience a mud festival. 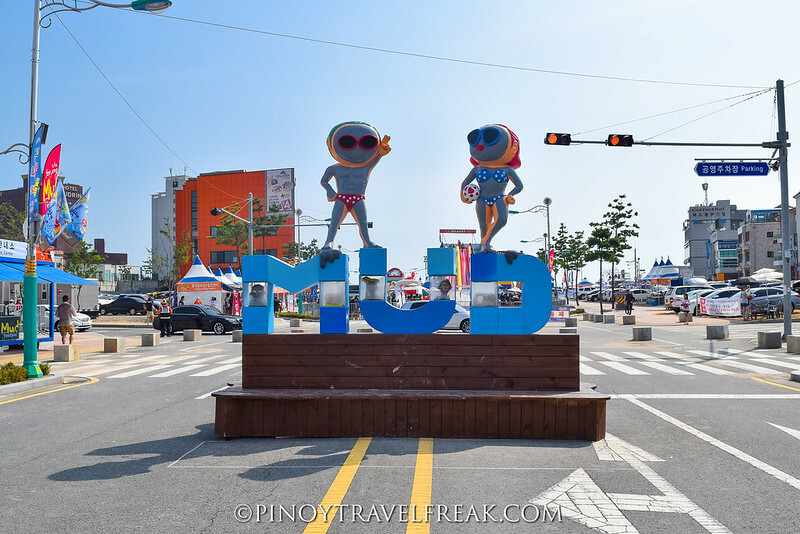 Philippines has so many festivals happening all year round, but mud festival is something unique and it only happens in South Korea! Boryeong is located 200 km south of Seoul, the capital of South Korea, and can be accessed by bus and train. So from Manila I have to fly to Seoul via Incheon where the largest airport in South Korea is located. AirAsia has direct flights from Manila to Incheon daily and flight takes about 4 hours. Due to excitement, I arrived very early at NAIA Terminal 3 for my 7:10 AM flight to Incheon, at least 3 hours before my flight, even though I had already web checked-in. I was too early that the check-in and drop baggage counters were still closed. Talk about being segurista. :) I didn't want to be part of the horror stories where people were left behind by planes for arriving late especially for international flights, or getting stuck in the immigration. Good thing, AirAsia counters opened on time, which is 3 hours before the scheduled time of departure. Our flight took off on time as well. I was seated at the aisle seat but was happy to learn that the window seat was empty so I requested to transfer seat which the very nice flight attendant granted. After a while the meal was served. 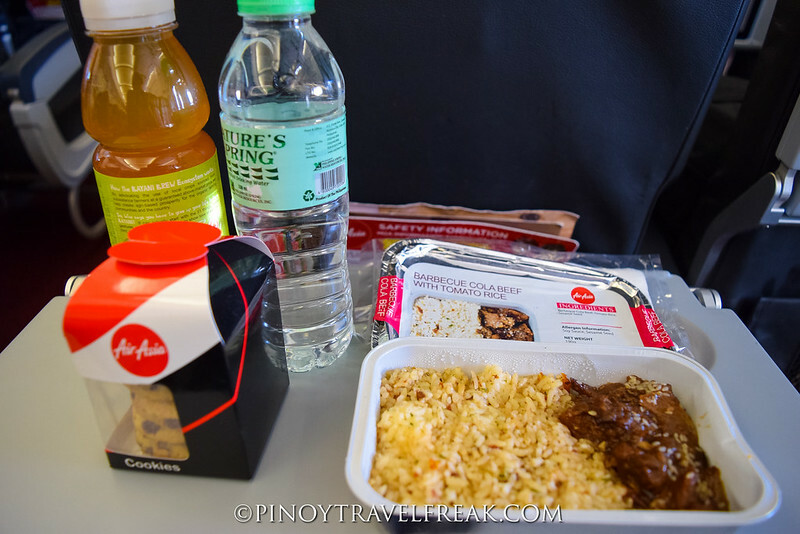 I had Barbecue Cola Beef with Tomato Rice with a bottled water, Bayani Brew and cookies for dessert. By the way, inflight meal is optional upon booking but you can always purchase hot meals on-board or pre-book online (you can save if you order 24 hours before flight departure time). You can check their menus for meals, snacks and beverages sold onboard. Since I only had little breakfast prior to the flight, the meal was perfect to fill my already starving tummy. I learned that it's one of the best sellers on their Z2 flights, no wonder it tasted good. Aside from food, passengers can also purchase collectible inflight merchandise and duty free items. 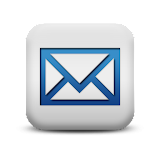 Depending on the flight, products vary from one country and another so feel free to check their onboard catalogues first. The flight was smooth I was able to sleep half of the time. After more or less 4 hours, we finally landed in Incheon International Airport. From Incheon International Airport, we took a limousine bus to our guesthouses in Seoul. Seoul can be accessed by train, bus or taxi from Incheon. Travel time takes about 1-2 hours depending on the transportation type. Although train is faster and cheaper, bus is more convenient especially if you have luggage. Taxi is the most expensive and is advisable if you're traveling with a group or outside the operating hours of subway and buses. Boryeong is located around 2 hours from Seoul where we were staying. Our day trip to Boryeong, including the transportation and entrance fee, has already been booked and arranged with KTourStory ahead of time so we just have to be at the meeting place and time. If you plan to do it DIY, Boryeong can be reached by car, bus or train from Seoul. We left Seoul early in the morning with the organizer and other participants of the tour and arrived at the venue two hours later. If you plan to stay in Boryeong or around the area, they say it's best to book for your accommodation in advance since it's high season. Click here to find for accommodation at cheaper rates in Boryeong. Boryeong is popular for its beaches, particularly Daecheon Beach, and for its mineral-rich mud. Boryeong Mud Festival started in 1998 and was conceived to promote the cosmetics produced from the mud of Boryeong. Due to the healing properties of the local mud and the fun that goes with the celebration, the festival became an annual event which attracts millions of tourists from around the world every year. The once sleepy seaside destination is now a tourist hot spot during summer, especially in July. 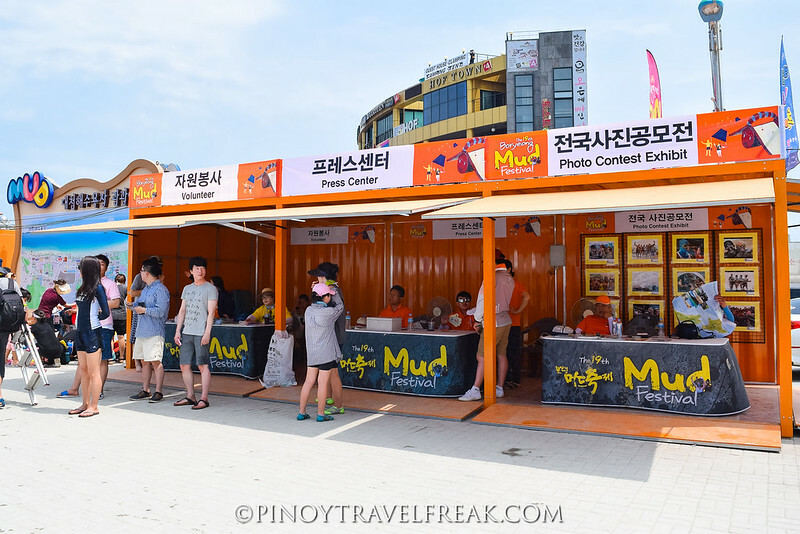 The mud fest is now one of the biggest festivals in Korea. Upon arrival, the festival's atmosphere will you get into festive mood. 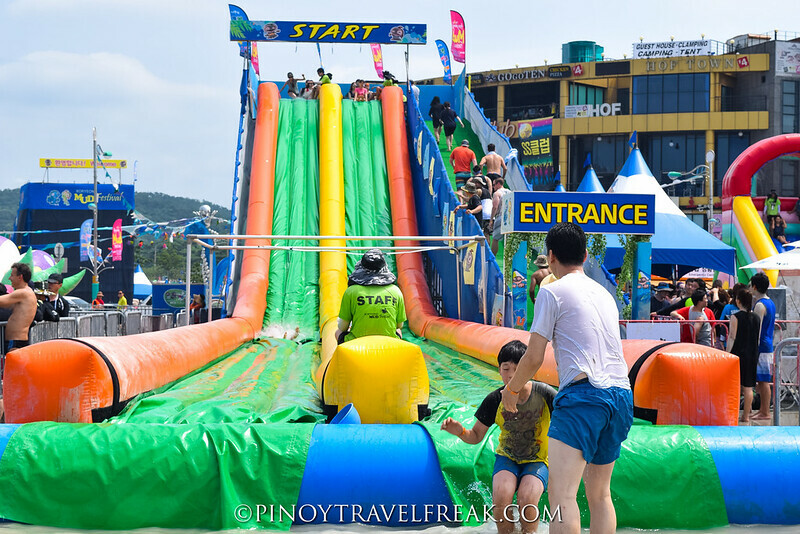 Huge attractions such as giant mud slides, a mud pool, and a mud prison are erected at the event venue. 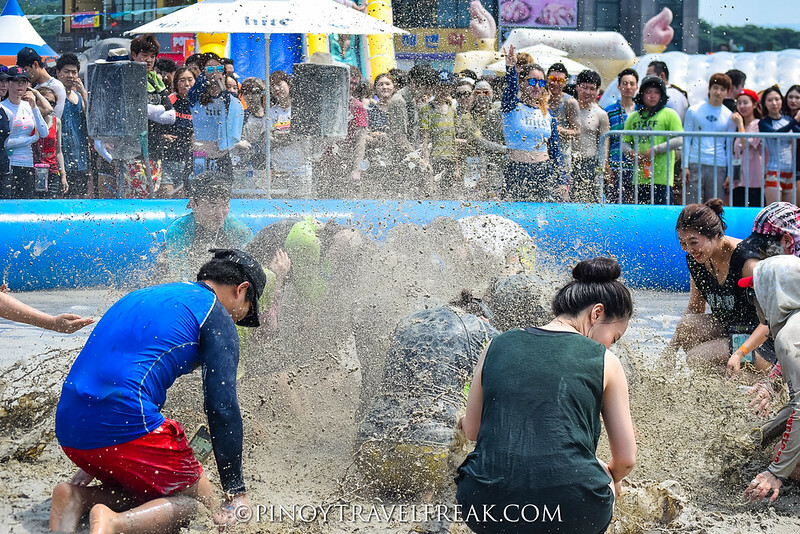 Various activities are setup for visitors who want to fully immerse in the mud experience including mud wrestling, mud sliding, mud baths, mud football, mud marathon, mud massage, and other mud games. For those who don't want to get a bit dirty, other activities organized for them include mud soap making, photo contest, photo exhibit and water activities. 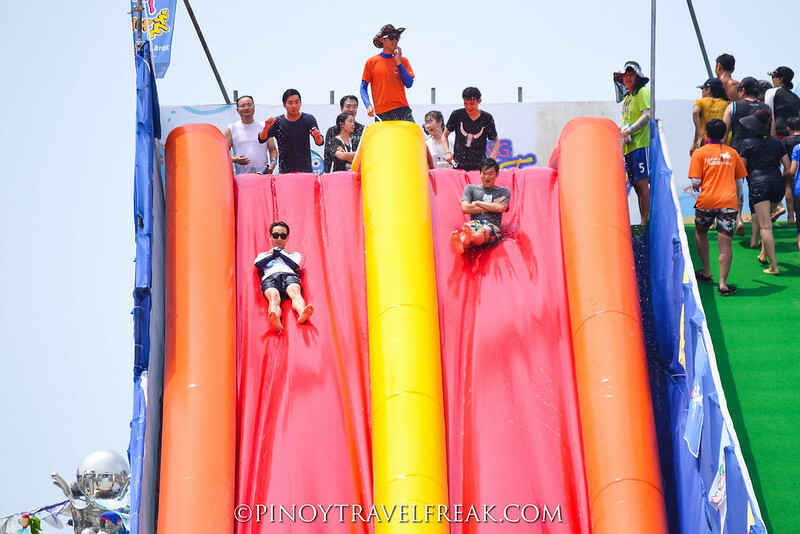 The festival is also family-oriented which is why the kid's play area is separated from adults and they have their own mud pool and mud playground too. Kids can also enjoy child-friendly games such as mud face-painting and color mud body painting. 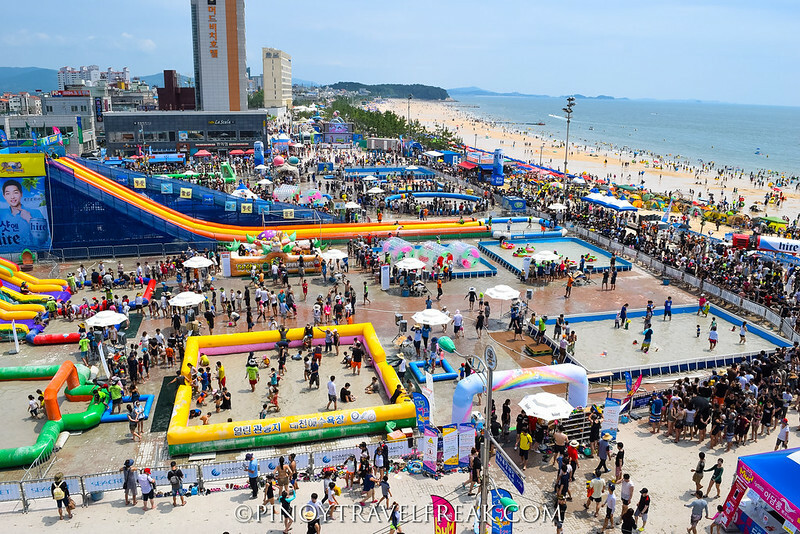 Since it's located by Daecheon Beach, anyone can enjoy some beach activities as well. This year, the festival ran for 10 days covering two weekends (July 15-24, 2016). Since we arrived on a Saturday or second to the last day of the festival, the crowd was huge as expected. I wanted to try the giant mud slide and mud wrestling but due to very long queue and limited time, I had to settle with mud prison and mud pool activities which were really fun. 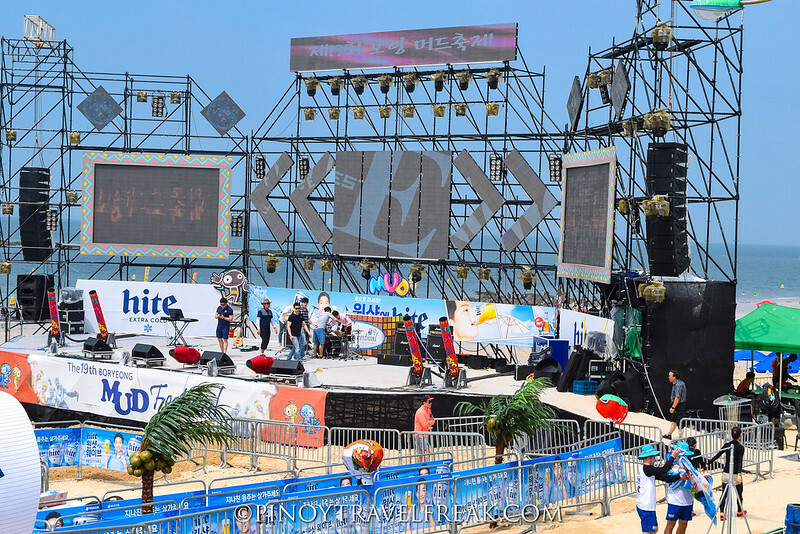 There is also a big stage by the beach where there's music and partying and where audience gets sprayed by water. A fun way to temporarily wash off some mud aside from taking a dip on the beach. Pop singer Psy also performed on this stage during the opening ceremony which we missed. The whole place is surrounded by restaurants catering to local and foreign visitors, so food is not a problem. Expect prices are a tad higher though. Like any festival, expect lots of alcohol drinks as well. And of course, there are mud cosmetics and various related products sold at the venue. Korea is known for beauty and skincare innovation so the festival is the best time to get some mud-based cosmetics because they are on sale. In terms of festival around the world, I think Boryeong Mud Festival is inspired from "La Tomatina", a popular tomato festival in Spain. In fact, there is a partnership between the two festivals through a photo exhibit of Spain's tomato festival. The festival also reminds me of our very own San Juan Fiesta held every June. 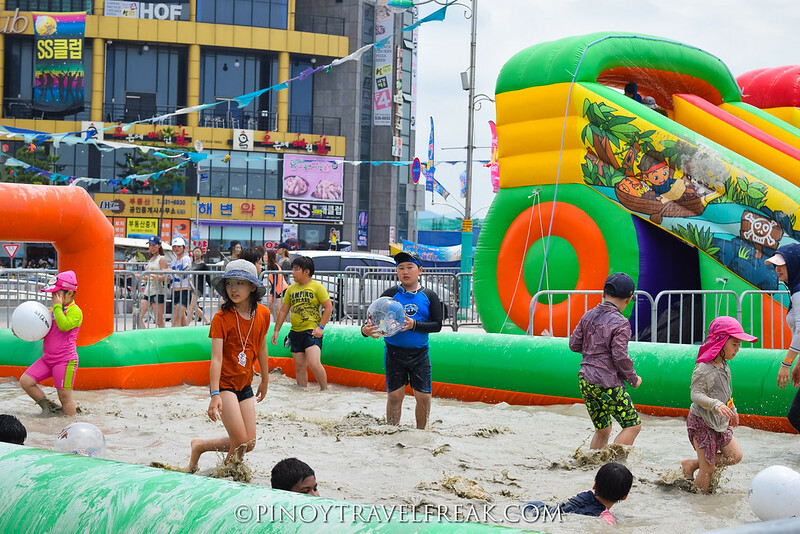 Unlike San Juan where you will get wet if you didn't want to, Boryeong Mud Festival is held in one area and people won't splash some mud on you if you won't join any of the mud activities. 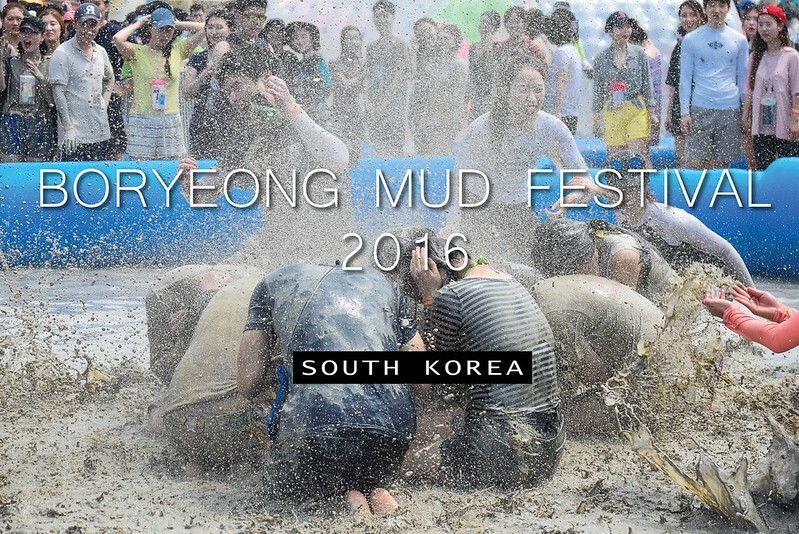 This year is the 19th year of Boryeong Mud Festival and it continues to grow bigger each year. 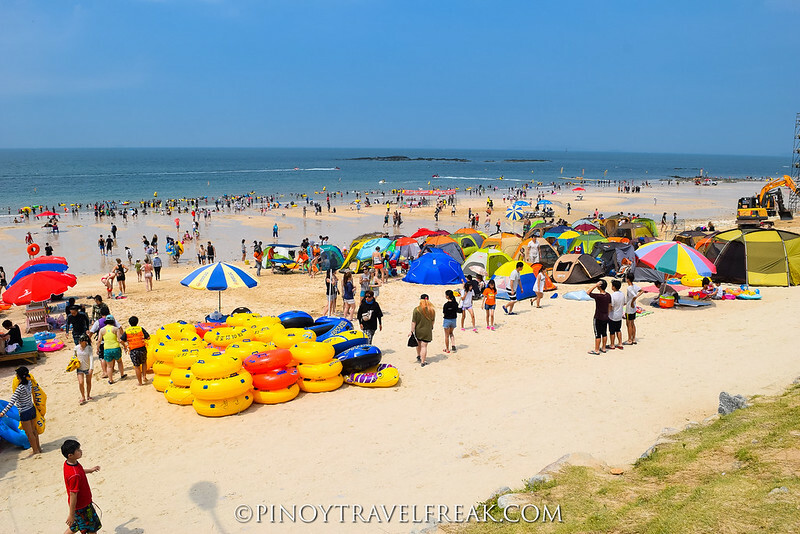 The beach side party is another reason to visit South Korea during summer so make sure to put it in your bucket list. Watch the video of my trip and more photos from the mud fest below. 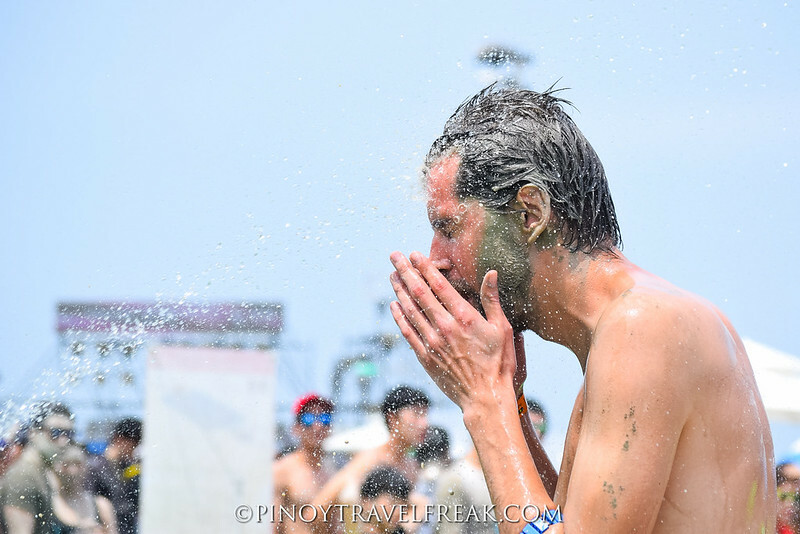 Special thanks to AirAsia Philippines for letting me experience the Boryeong Mud Festival in Korea. 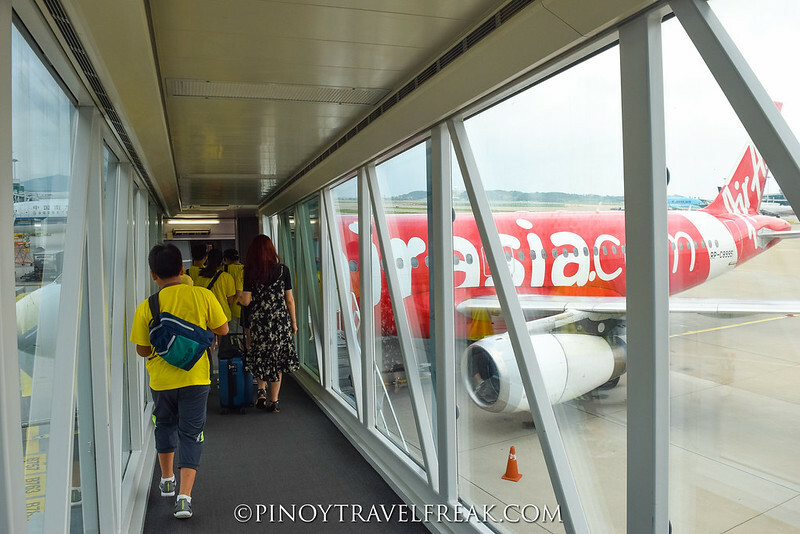 AirAsia Philippines flies directly from Manila and Cebu to Seoul via Incheon daily. Visit AirAsia Philippines website or download their mobile app to book for your flights to South Korea.